Backtrack is an award-winning, five-person a cappella group based in New York City that explores the power of the human voice through unique vocal arrangements, tight harmonies and world-class beat boxing. 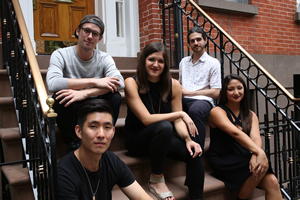 The group pushes the limits of a cappella, creating impressive covers of past and present pop music, writing inspiring original compositions and daring to take on unexpected genres such as classical and electronic music. Looking for a preview. Here's the link for Backtrack . The Oldies Reel is wonderful. 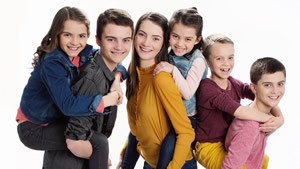 Ethan has also been featured on countless national television shows, including multiple appearances on The Tonight Show with Jay Leno, Good Morning America and Oprah, where he was named one of Oprah’s All Time Smartest, Most Talented Kids. Ethan completed shooting a full-length feature film called Anything Is Possible which was released in September 2013 to rave reviews. He starred in the film, co-wrote all of the songs in the film and scored all the background music. The Dallas String Quartet Electric- and International Music Sensation. A fusion of classical and contemporary music on both traditional and electric strings. With the 2016 release of their fourth album "DSQ" they continue to expand their passionate following on Pandora, Spotify, and Sirius XM radio. DSQ performs intimately as a quartet or with a full accompaniment of drums, guitars and piano. 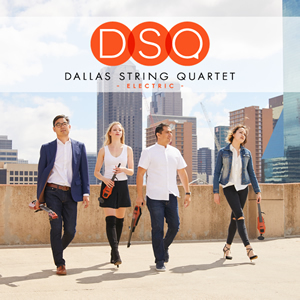 The Wall Street Journal, A&E, WFAA-ABC and ESPN have all featured the Dallas String Quartet. In addition to performing internationally, DSQ has played "at home" for Presidents Obama and Bush, the College Football Playoff, NBA, and NFL organizations. DSWQ has sold out concert venues life the House of Blues and symphony halls alike. They have played alongside Josh Groban, Chicago, and the Trans-Siberian Orchestra. Comprised of composer and violist Ion Zanca, Violinists Eleanor Dunbar and Melissa Priller and bassist, Young Heo, DSQ takes you on a journey to the nexus of classical music and modern pop where artists like beethoven and Bono collide. Here is an opportunity to preview the sound of "DSQ" . Key onto the Featured Video. Here is another clip. Four by Four preview link. Enjoy! 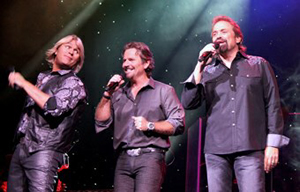 The Texas Tenors are the most successful music group and third highest selling artist in the history of America's Got Talent! Since appearing on the show in 2009, JC, Marcus and John have released 4 studio albums, 2 PBS Specials, 4 DVDs, multiple singles and a children's book that have earned them impressive recognition including 3 Emmy Awards, The Gelett Burgess Award for Excellence in Children's Literature and the distinction of being Billboard Magazine's 2017 #10 Classical Crossover Artist in the World. Their most recent albums "Rise" and "A Collection of Broadway and American Classics" both debuted at #1 on the Billboard Classical Chart. These classically-trained, versatile tenors have performed more than 1300 concerts around the world including headline shows in Las Vegas, China and a 24-city tour on the United Kingdom. With three different live concerts "Rise: Live on Tour", rousingly patriotic "Let Freedom Sing" and holiday favorite "Deep in the Heart of Christmas", their concerts appeal to all ages and have been wildly successful from performing arts centers, casinos and symphony halls to outdoor festivals and corporate events. Building on over three generations of Leahy musicianship, Doug Leahy, together with his wife Jennifer and their children, are keeping those traditions alive through music, song, and dance. Doug, as a member of “Leahy” and Jennifer, having played music throughout her life, both understand the joy and exhilaration only music can provide. It is no wonder then that their children understand innately that music will be a huge part of their lives. Even the smallest children feel the music pulsing through their veins. They are drawn to it. They are passionate about it. It is this drive to create music that has led Doug and Jennifer’s children to achieve so much, even at their young ages. Still all in elementary school, the children are accomplished multi-instrumentalists. Led by Doug, live performances are filled with the high-energy, infectious Celtic-based music people associate with the Leahy heritage. Fiddle, cello, French accordion, singing, piano, and French-Canadian step-dancing all find a voice on stage. And the children, so in love with what they are doing, enamour audiences who don’t want the show to end. Having shared stages across North America with “Leahy”, their performances leave audiences in awe. This rare talent in children so young is an inspiration to other children and families alike, showing just what young people are capable of. The joy of music is meant for all and Doug and his family are set on sharing that joy with each and every audience. 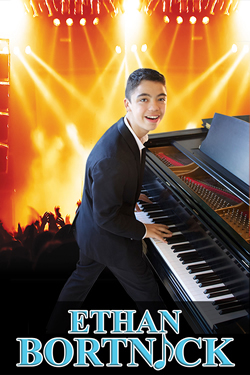 William Florian is a gifted and professional musician who mesmerizes his audience with the music of the 60s. William’s career was almost a non-starter. His math teacher wanted to take William’s guitar away from him until his grades improved. Fortunately, his mother did not agree and the rest is history. William and his sister formed a duo. While they were touring they met the famous New Christy Minstrels. He later sang with this iconic group. 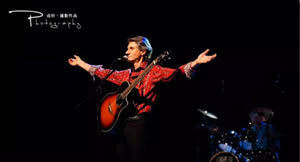 William’s love for the music of the 60s shines through as he mesmerizes audiences with his amusing and heart-warming stories. William weaves songs, stories and humor. William Florian has a delightful personality and his stage presence is stellar. William Florian's preview link. Enjoy! 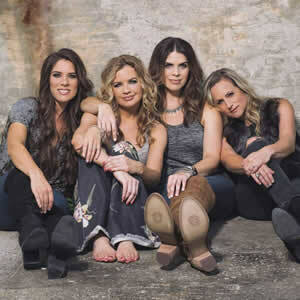 Named after a haunting Bob Dylan song, Farewell Angelina is an all-female country group with four powerhouse vocalists, dynamic songwriters and accomplished multi-instrumentalists. Their stellar blend of heart-stopping harmonies over blazing double violins and guitars has earned soaring praise across the board. Roughstock calls them a "Superstar Act... with Killer Songs." Rolling Stone says, "Wickedly smart songwriting delivered with a healthy dash of sass... deft playing... into one sonic knockout punch." A band of longtime friends, Nicole Witt, Andrea Young, Lisa Torres & Ashley Gearing all met pursuing their dreams in Nashville, TN. Each deeply respected and admired one another while they were building successful solo careers, touring and recording with top artists, and writing songs for some of Country Music's biggest hitmakers. When they heard the undeniable magic of their voices together for the first time, they couldn't wait to take their show on the road. Major opportunities soon followed including singing the National Anthem for Thursday Night Football, The Unbridled Eve Gala for the Kentucky Derby, the ACM All-Star Jam, and the Albisguetli Schutzenhaus Festival in Switzerland. Farewell Angelina's chemistry lives in watching each other shine, and most of all, creating moments every night with the Country Music fans they love so much. The relationship they share with their fans won them the fan-voted "Hot Seat" spot of the Taste of Country 2017 "RISERS" Program by over 20,000 votes. They've also been named among Rolling Stone's "New Artists You Need To Know," and Roughstock's "Ones to Watch" with a tour schedule to prove it. The girls have opened shows for the likes of Kenny Chesney, Old Dominion, Frankie Ballard, Jake Owen, Billy Currington, Maroon 5, and Trace Adkins, to name a few. The girls joined the Bacon Brother’s (Kevin & Michael) as the opening act on many dates of their last two summer tours. They are currently headlining their own “Women & Wine Tour” to packed crowds across the US. Here is an opportunity to see what is in store for this concert. Here is the preview.